Not sure how you’ll stop your kids from checking out all of the nasty things the internet has available? A service might just be available for your router. Security solutions have long existed to help parents deal with net nasties and keeping their kids away from issues, but they can be clunky, cumbersome, and a pain to actually implement. But as network solutions begin to make the transition to network devices in the home, the idea of house-wide security becomes a little easier. We’ve already seen some examples of this, from Trend Micro’s network appliance to Norton’s take on the router, and now Trend is teaming up with Belkin’s Linksys networking brand to release an aspect of its technology as a part of a router. The concept is called “Linksys Shield”, and it’s going to form a part of Linksys’ Velop mesh networking technology. Acting as a bit of an optional add-on, Linksys Shield is a security package that will start as a solution to check sites for malicious files, and filter for content that is flagged as adult, violent, or based on things your kids can visit depending on their age. 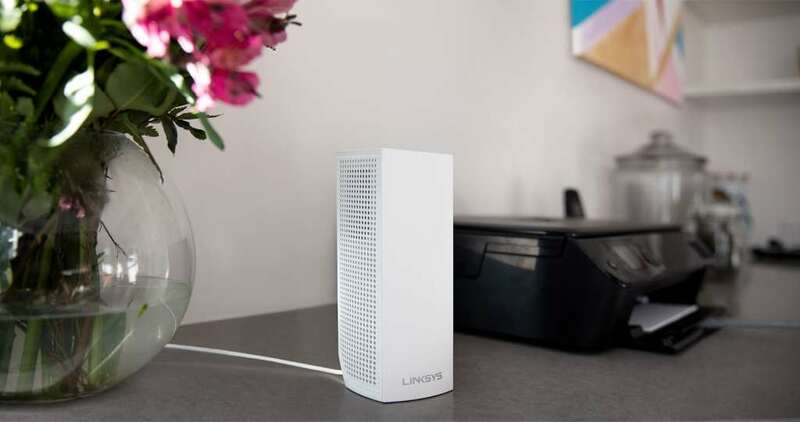 Instead of needing to add this technology to your network as an actual appliance, Trend Micro’s Linksys Shield will sit as an app in the Linksys Velop mesh router, meaning it runs on the entirety of the network if it’s installed and paid for. And paid for is exactly what it needs, because with a cost of $7.49 per month of $75.99 per year in Australia (or $8.49/$86.99 in New Zealand), this one won’t run without being paid for regularly. Representatives for Belkin told Pickr that Linksys Shield in its current technology will be all about parental controls and website blocking, but that another part is expected to roll out this year offering network protection with anti-phishing and anti-malware, among other things, and that these would likely not be free additions on the existing service. We’re not sure if that means Linksys Shield customers would necessarily be paying for a second-tier on the expanded Linksys Shield when it does launch, but it sure sounds like it. In fact, it sounds a little like Trend Micro is bringing its Home Network Security gadget to a more logical place: an existing router. We haven’t yet confirmed whether that’s what’s happening, but we can see the subscription model and on-router app making more sense than the addition of a router, at least in the customer’s eyes, simply because there are only so many network ports on your router as it is. Once you start adding devices like a NAS (networked hard drive), WiFi lights, security systems, and more, the spot for a security appliance becomes less and less viable. You’ll need Linksys’ Velop networking devices for Linksys Shield in the first place, as it won’t roll out to other networking gadgets, including those made by Linksys. However, if you have one of those, you should find it on your Velop now, and if not, check for a firmware update, as it should be made available after that.